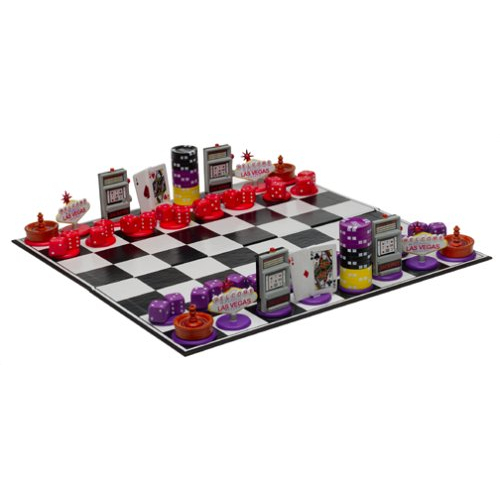 This cleverly designed chess set includes board and Las Vegas themed chess pieces. A stack of chips is the King, Ace Queen hand is the Queen, Bishop is a slot machine, Knight is a "Welcome to Las Vegas" famed sign, rook is a roulette wheel and pawns are a pair of dice. Any fan of Las Vegas will adore this!